With so many products claiming to be “organic” we thought it high time to clarify our reasons for choosing Ilike Organic Skin Care in our store. “Our fruit and herbal ingredients are formulated and processed in a unique way under specially controlled conditions that maintains the vitality of the natural active ingredients while eliminating bacteria. Because of this secret process you can immediately experience the rich, deep penetrating effects of our products, as well as their magnificent aromas and colours. The products of ilike organic skin care contain no artificial colours; therefore the colour and even texture of the products can change slightly over time and may even vary by season. 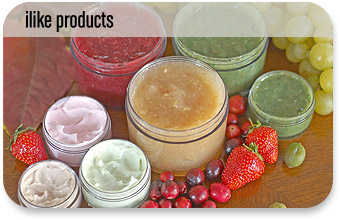 Our skin care line does not contain animal by-products and is not tested on animals. Due to the uniquely rich Hungarian soil and the climate perfectly suited for agriculture, our herbs, vegetables and fruits are very rich in active ingredients and aromatic agents. They are organically grown, hand harvested, hand selected and made in very small batches. Recipient of numerous awards, certified organic by European standards and featured in prestigious magazines and TV shows, like The Doctors, ilike organic skin care brings you unparalleled quality created with old world experience and knowledge.